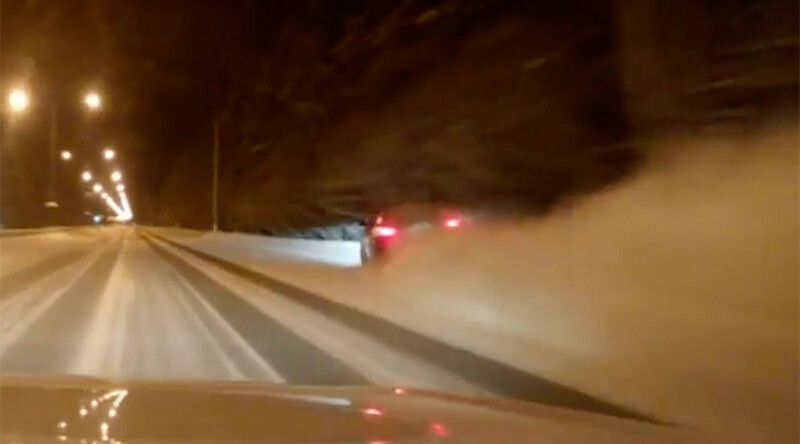 Dashcam footage has surfaced online of a street race on a snowy road in Siberia, Russia, which saw two people lose their lives after an SUV hit a power line at a speed of over 165kph (102mph). The incident occurred late on January 7 in the city of Tyumen, during Russia’s nine-day New Year holidays. The drivers of a Range Rover and Audi apparently decided to stage a street race on a deserted road. The two luxury cars set off after the traffic light switched to green, with the Audi, which was equipped with the dashcam, initially moving ahead. It was overtaken by the Range Rover as its speed hit 165kph, the police said. The SUV was still accelerating when its driver made the decision to change lanes, losing control of the vehicle on the icy road. The Range Rover slid to the side of the road and hit a power line at high speed, causing a massive electrical blaze. The 37-year-old man behind the wheel and his 35-year-old wife were instantly killed in the crash. The couple are survived by three children, who were not with them at the time of the accident. Local media report that the woman was pregnant with a fourth child.